Translation is one of the toughest jobs in Hollywood— especially when you’re dealing with one of the most popular franchises in the world. Remezcla and NPR’s Latino USA recently released a neat breakdown of how Rogue One: A Star Wars Story was translated into Spanish... and the history behind R2-D2's infamous Latin American moniker. During the profile, Katya Ojeda, the translator behind many Latin American versions of Star Wars films, shared how it wasn’t easy converting Rogue One into Spanish. Since Star Wars is one of the hottest things out there, and Disney is always wary of leaks, the translators and actors never actually got to see the movie while working on it. Instead, Ojeda had to translate from a rotoscoped version of the film. The entire screen was in black, and when the actors talked, little “bubbles” would open up so she could observe the lip movements. She said the script was only available on one computer, and there was no way to access it outside of working hours. When it came to the actual voice acting, the actors had to rely on acting cues from dubbing director Héctor Gómez Gil, since he was the only one who actually got to see the film beforehand. Well... with one exception. 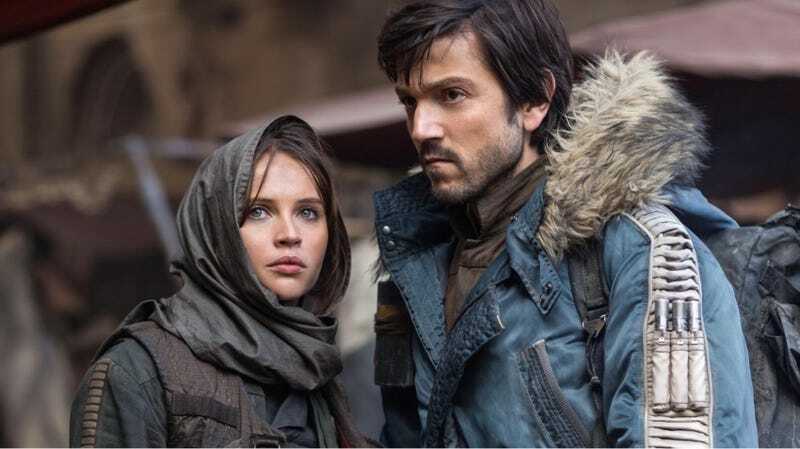 Turns out, Diego Luna voiced his own character, Cassian Andor, for the Latin American version of the film. You can hear his performance in the trailer below. Another challenge surrounds the specific terms that are unique only to Star Wars. Nowadays, Disney and Lucasfilm will send all translators a list of terms they’re supposed to use, like sable de luz instead of lightsaber. That’s mainly so they can coordinate with marketing and toy development. However, that wasn’t always the case, or at least it wasn’t as enforced. One of the most famous translations is the use of Arturito instead of R2-D2— a name many Latin American Star Wars fans still use fondly, even though it’s been updated for the newer films. Here’s the full piece, which dives further into the differences between Spain and Latin America’s versions of the film, as well as other fascinating glimpses inside the art of creating una galaxia muy, muy lejana.